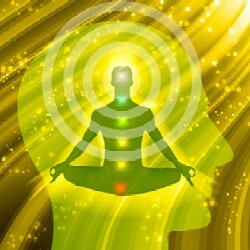 Telepathy has long been considered an aspect of psychic phenomena or a super power. It isn’t really possible to read the minds of other people nor has it really been considered likely that people can communicate using only their subconscious thoughts. All of that is about to change. Enter Synthetic Telepathy. What is Synthetic Telepathy? It is communication between a computer and the human brain. It allows the communication of thoughts between any given individual and the operators of the computer system with distance being no barrier. The mind control conspiracy theories are starting to see some validation from new emerging technologies that allow the brain waves of an individual to be read and to be transmitted. The army has commissioned University of California researchers to create helmets designed to communicate the thoughts of a soldier to other soldiers. Stephen Hawking is a research subject in an attempt to commercialize brain reading technology into synthetic telepathy for medical use and as a means to help the future diagnosis of neuro degenerative disorders. The technology even has some in the video gaming industry dreaming of revolutionizing how video games are played by using thought alone. All in all, the recent emergence of synthetic telepathy and brain reading technologies show us a future where the military can be more efficient, the commercial world has innovative new products and the medicinal world can be more effective. But what about those conspiracy theorists, the tin foil hat wearing people who have been claiming that the CIA has been spying on their thoughts for decade? It seems that all of those crazy people may just have been ahead of the curve and not so crazy after all. In order to verify this technology works, one would have to use real people to verify that the thoughts being thought are really being thought. And further, the fact that the military has been pursuing psychotronic technology would give more support to the idea that synthetic telepathy would have subversive applications for enemies domestic and foreign. What better way to discredit an anti government protestor than by labeling him as crazy? The ability to beam thoughts into someone’s head also has marketing applications as demonstrated by Horizon Media and Holosonic for the A&E television series, Paranormal State. The ad campaign used a billboard in New York to beam an ultrasonic beam which, when passed through by a pedestrian, produced a pre-recorded voice that sounded as if it were coming from inside the persons head. The examples of synthetic telepathy, be it one way or interactive in nature, are all over our society and give a hint to how the future of communication may look like. But with such new and invasive technology comes a lack of awareness from the public of what this technology is capable of and a lack of legislation on its uses. The technology in its most benign form, such as advertising, still toys around with the umbrella conspiracy of Mind Control, forcing thoughts into people’s minds without their consent. On even worse applications, a person can be made to think that they are going crazy if they are suddenly inundated with thoughts and compulsions that they cannot verify the origins of. Indeed, the worse case scenario is easy to see in what has become the targeted individual community. Before the internet, people who heard voices or were paranoid that people were following them had very little recourse but to slowly go insane and be diagnosed with a myriad of possible mental disorders. There was no one they could talk to regarding the seemingly impossible reality that they were being targeted with technology that was not considered possible or even discussed in anything but science fiction stories. The internet has seen the rise of niche communities where targeted individuals, as they refer to themselves as, can discuss their experiences in a therapeutic collaboration. They discuss the various uses of direct energy weapons and the phenomena of hearing voices, or synthetic telepathy. The idea that many people have gotten together to discuss their experiences from years and even decades ago is an indication that these individuals may actually have been targeted despite the seeming ludicrous possibility. Coupled with the idea that corporations and military sources are confirming the technology for public application in the near future and the likely hood that this is not just a theory anymore becomes easier to accept. The ethics of using mind altering technology on someone without the consent of the individual seems like a given in that it should be considered illegal. But therein lies the major sticking point for this technology – it can’t be measured because the only proof that it exists is in the subjective experience of the targeted individual who can very likely be dismissed as psychotic. How does a society regulate technology that technically does not exist? How does a society break through the various amounts of red tape to gain official evidence of the existence of this technology? Vladamir Putin’s recent statement regarding the existence of psychotronic weapons capable of turning an individual into a ‘zombie’, or behaviorally despondent, is certainly a starting point but it certainly doesn’t give any insight into the amount of time research was undertaken or even how the research was conducted. Indeed, the technology is blanketed underneath the scope of national security and as such any public discussion is thwarted due to the societal presumption that mental illness equates with any complaint of symptoms that can be possibly attributed to this technology. But the persistence of neuroscientists all over the world calling for guidelines for the ethical application of this technology is slowly getting the news out. The potential for abuse is great with such a discreet means of influencing behavior and opinion as potentially illustrated by the many complaints and stories from the Targeted Individual community. Yet it is certain that the benefits that are possible from this technology require an extensive acknowledgement and education of its existence to society. Mind Reading technology is here to stay and is getting ready to break into the commercial world in a major way while other mind influencing technologies are classified for national security purposes. As long as national security requires the keeping of the extent of these possibly MK-Ultra-esque experiments secret, there will always be mind control conspiracy theorists claiming that their tinfoil hats don’t quite work well enough to ward off the NSA.